Morehead State University Space Science Center staff and students have delivered a satellite to NASAs Launch Services Program Friday, January 6, marking a major milestone in the Space Science Nanosatellite program. The Cosmic X-Ray Background Nanosatellite (CXBN) was developed by MSU and partners during the past year and passed rigorous space environment testing and a series of design reviews, culminating in the flight readiness review held on December 31. CXBN is an astrophysics mission whose goal is to provide an improved measurement of the universes X-Ray background, and could help resolve a mystery in modern cosmology  the origin of the cosmic X-ray background. In Big Bang cosmology, the universe was created 13.8 billion years ago and relic radiation across the electromagnetic spectrum that the event produced is studied to lend insight into the physics of the early universe. The relic radiation peaks in the microwave part of the spectrum, with a smaller secondary peak in the X-ray regime. While the microwave background radiation is well understood having been studied since the mid-1960s, the X-ray background is less well understood and few measurements exist that allow astronomers to interpret its origin. The existing measurements are imprecise and differ from each other significantly, a condition which precludes astronomers from knowing which of the physical models developed to explain the X-ray background is correct. The CXBN mission addresses a fundamental science question that is clearly central to our understanding of the structure, origin, and evolution of the universe by potentially lending insight into both the high energy background radiation and into the evolution of primordial galaxies. The mission was selected in January 2011 by NASA to fly on the Operationally Unique Technology Satellites (OUTSat ) Mission as part of NASAs Educational Launch of a Nanosatellite (ELaNa) program. 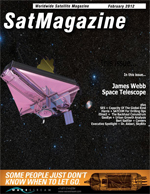 The Space Science Center submitted a proposal to NASA in Fall 2010 which was subsequently awarded, resulting in the flight opportunity on the OUTSat Mission. The idea behind the science mission was developed by Dr. Ben Malphrus, director of the Space Science Center and chair of the Department of Earth and Space Sciences, and his long-time collaborator Dr. Garrett Jernigan, astrophysicist at the University of California Berkeley. A partnership ensued that resulted in MSU becoming the lead institution on the program  being responsible for the design, fabrication and testing of the spacecraft bus, including spacecraft structures, subsystems, software systems and on-orbit operation of the spacecraft. Dr. Jernigans team at UC Berkeley and collaborators at Black Forest Engineering (BFE) in Colorado designed and built the science payload  a silicon-based X-ray detector, one of the most sensitive ever built in the 20-100 keV energy range. Other collaborators are engineers and scientists including Dr. John Doty from Noqsi Aerospace, Dr. Lance Simms at Lawrence Livermore National Laboratories, Dr. Steve Anderson at Sonoma State University and members of the Kentucky Space staff led by Twyman Clements. MSUs team consists of Assistant Professor of Space Science Kevin Brown, who serves as the systems engineer, leading the efforts to design, fabricate and test the spacecraft systems. Brown added significant nanosatellite experience to the Space Science Center team, having designed and built spacecraft systems at Lockheed Martin, Stanford University and Astrodev. He worked closely with the student team, training them in the various technologies and processes involved in designing and developing spacecraft components to operate in the extreme environment of space. Other team members include Dr. Roger McNeil, dean of the College of Science and Technology; Jeff Kruth, electrical and radio frequency engineer; Eric Thomas, Star Theater director; Bob Kroll, space systems engineer; Michael Combs, satellite earth station operations engineer; and a team of undergraduate and graduate students. The student engineering team is led by Tyler Rose of Carlisle, who participated in the design and fabrication of every component of the spacecraft. Numerous students had the opportunity to participate in the program, providing invaluable experience for them in actual space systems design  a rare opportunity for graduate students, and an exceedingly rare event for undergraduate students. About a dozen students from Kentucky, Ohio and internationally  from Italy, South Korea, and South Vietnam  form the student engineering team. They participated in all aspects of engineering design and fabrication of the spacecraft and performed the work in concert with the Space Science Center faculty mentors. Once on-orbit, the spacecraft will be operated by students using MSUs 21-meter Space Tracking Antenna and other ground assets. The science data collected will be reduced, calibrated and analyzed by astrophysics students under the direction of faculty mentors. To participate in design reviews, mission readiness reviews, design and fabrication of the spacecraft subsystems, proto-flight testing, operation of the spacecraft, and analysis of the science data represents extraordinary opportunities for students. The satellite itself adheres to the CubeSat form factor  a nanosatellite standard now adapted worldwide, that was invented by Bob Twiggs, professor of Space Science, while at Stanford University. CXBN is among the most sophisticated and capable CubeSats ever built. The satellite is a 2U Cube (measuring 10 x 10 x 20 cm and weighing 2.5 kg) and will track the sun and orient itself toward the sun on-orbit using an innovative attitude determination and control system, while rotating once every six seconds, allowing the science array to scan the universe. The satellite also contains state-of-the-art command and data handling systems, power management systems (using deployable solar panels), communication systems, and thermal and structural components  all designed and built at MSUs Space Systems Development Laboratory. Nearly all of the environmental testing (including vibration analysis, electromagnetic testing, and functional testing) was conducted in the MSU Space Systems Verification Laboratory. Thermal-vacuum (T-vac) testing was conducted at the Kentucky Space facilities and the University of Kentucky. CXBN is significant in that it is the first satellite entirely built at MSU, with the exception of the science payload, which was built at BFE, UC Berkeley and Morehead State. Space Science Center staff participated in the design, fabrication and operation of a number of other micro and nanosatellite systems including KySat-1 (with Kyspace), EduSat (with the University of Rome), RAMPART (with a consortium of universities and government labs), and Frontier-1 (with KySpace), but CXBN represents the first major satellite project that Morehead State University has taken the leading role in developing. The accomplishments of this team at MSU in partnership with Kentucky Space staff that I have seen since coming to MSU are truly amazing. I have been on the sidelines watching and the level of complexity in the projects and the professionalism skills they now possess make an awesome team that I would rank as the best university team that I know of. These skills have been demonstrated by the delivery of CXBN  a very sophisticated satellite developed on a nearly impossible timeline, said Twiggs. The CXBN project represents an important benchmark for MSUs Space Science program  a satellite designed, built, tested, and to be operated by, staff and students. CXBN will be launched from Vandenberg Air Force Base, Vandenberg California in August of 2012. According to the GSM Association (GSMA), mobile penetration in the Asia Pacific will reach a landmark three billion connections in Q1 2012, nearly two years earlier than projected. More importantly, by 2015, the region is expected to reach 4.1 billion connections, growing at twice the rate of Europe and North America, and will account for 40 percent of mobile data traffic worldwide. NSRs findings are certainly consistent with the GSMAs projections. For satellite-based backhaul, the Asia Pacific is expected to account for the largest share of in-service units and revenues until 2020. The rate of growth should lead to more than a doubling of installed satellite BTS units in Asia, indicating that while BTS installations in developed country markets are showing signs of saturation, satellite backhaul demand in the Asia Pacific is not foreseen to taper anytime soon. Two key markets will drive growth in the region  China and India. Today, China alone has 940 million mobile connections, which exceeds the combined connections in Europe and the U.S. Moreover, even as Asias growth has been on a blistering pace, China and India have penetration levels at just 60 percent, which means that one billion people are still without a mobile connection. The opportunity for the satellite industry in Asia is certainly promising, and it is worth noting that the regions dynamic growth is coming at a time of severe financial pressure around the globe. Many economists have argued that the engine of growth will likely rest with Asia, and this appears certainly true in the mobile industry. Access to key markets, notably China and India, may be hindered by regulatory factors such as preferential treatment, which may be afforded to national operators and suppliers. The rate of urbanization is expected to be high over time, limiting the addressable market for satellite backhaul as the value proposition rests in rural markets. Although wealth has grown substantially, the higher costs associated with satellite backhaul compared to terrestrial alternatives will be a challenge in the economic structure of rural markets. If the GSMA is correct in its projections of adding one billion connections in Asia, rural markets will have to account for a relatively large share of the pie given population demographics. Yes, urbanization is on the rise, but a large base will remain in rural areas. Satellite backhaul cost structures will have to address rural dynamics, and here, NSR projects those players with the most compelling cost structures both on the CAPEX and OPEX side stand to gain a better foothold. Solutions that target mobile data, particularly broadband mobile data, should likewise prosper over time. On its way to deliver emergency fuel to Nome, Alaska, the Russian tanker Renda will move through an area used by wintering spectacled eiders, a federally threatened sea duck. However, to protect the ducks and their wintering habitat, resource managers from the U.S. Fish and Wildlife Service and navigators from the U.S. Coast Guard are using satellite telemetry information from the U.S. Geological Survey to plot a route for the tanker that minimizes impacts to this species and its habitat. Nearly 20 years ago, USGS biologists used the latest satellite tracking technology available at the time to uncover the mysterious wintering behavior of the spectacled eider, now a threatened species, said USGS Director Marcia McNutt. The arctic nesting sea ducks are now wintering south of St. Lawrence Island in the northern Bering Sea, where sea ice abounds and abundant prey in the form of clams and other invertebrates appears to be critical for the species winter survival. As stewards of the environment, we found the data invaluable to our mission planning and execution while protecting our nations critical spectacled eider habitat, said U.S. Coast Guard Capt. Craig Lloyd, District 17 Chief of Response. Satellite telemetry provides a way to track animals regardless of location, time of day, or weather. Transmitters send information to orbiting satellites, which relay the data to land-based receivers. Implantable satellite transmitters were first used by USGS Alaska Science Center biologists in 1993 to discover the molting (when birds shed old feathers and grow new ones) and wintering distribution of spectacled eiders. At that time, no one knew where the species lived during the many non-breeding months. But, USGS tracking data and subsequent aerial surveys revealed that spectacled eiders wintered in the northern Bering Sea, within the pack ice. Not only was this a surprise, but weve learned that about 380,000 spectacled eiders, or almost the entire population of this species, use this area every winter for five to six months; an amazing natural phenomenon in an incredibly harsh environment, said Matthew Sexson, USGS biologist. In 2008, USGS biologists began marking spectacled eiders with improved transmitters with longer life cycles to learn more about the species to help resource managers plan conservation actions and strategies. Each transmitter can last as much as two years, providing an opportunity to learn more about year-round migratory patterns and habitat use of this unique species, Sexson said. Between 2008 and 2011, 129 transmitters were deployed at nesting areas in coastal Alaska. The project is expected to produce continuous tracking data from 2008 through 2013. Protecting Americas fish and wildlife resources is a shared responsibility. It is satisfying to see agencies working together to protect threatened and endangered species, while meeting the needs of our communities, said Ellen Lance, the Endangered Species Branch Chief for the U.S. Fish and Wildlife Services Alaska Region. More information about this research can be found on the USGS Alaska Science Center webpage. One can also follow the research by subscribing to the research Twitter feed. Sea Launch will launch the Intelsat 21 communications satellite during the third quarter of 2012. The spacecraft will be lofted into an optimized geosynchronous transfer orbit (GTO) using the reliable Sea Launch Zenit 3SL launch system. The launch will occur from Sea Launchs Odyssey launch platform at its equatorial launch site located at 154 degrees West, in the international waters of the Pacific Ocean. Built by Boeing Satellite Systems Inc., the 702-MP Intelsat 21 satellite will replace the Intelsat 9 satellite located at 302 degrees East and will serve the leading video distribution and DTH neighborhoods in Latin America. It is designed for 15 years of service. Sea Launch is very pleased to be entrusted with another launch from the worlds largest satellite operator, said Kjell Karlsen, President of Sea Launch. We greatly value the trust and confidence placed in the entire Sea Launch team with this key assignment. Sea Launch and Intelsat signed a multiple launch services agreement for as many as five missions on the Sea Launch system in 2010. For its first mission to the International Space Station, SpaceXs Dragon spacecraft will use deployable solar arrays as its primary power source for running sensors, driving heating and cooling systems, and communicating with SpaceXs Mission Control Center and the Space Station. Dragons solar arrays generate up to 5,000 watts of power  enough to power more than 80 standard light bulbs. The solar arrays, shielded by protective covers during launch, deploy just minutes after Dragon separates from the Falcon 9 second stage, as it heads towards its rendezvous with the Space Station. While many commercial satellites and NASA missions such as the Hubble Space Telescope use solar arrays, Dragon will be the first American commercial transport vehicle to do so. Past American spacecraft such as Mercury, Gemini, Apollo and Shuttle used fuel cells or battery packs. Fuel cells are limited by the amount of chemical reactants (typically oxygen and hydrogen) that the vehicle can carry. Batteries alone are limiting due to their mass and the amount of power they can carry. Solar energy provides a key benefit  long-term power. Combining Dragons solar arrays with a compact and efficient battery pack provides a reliable and renewable source of power. When in the sun, Dragons solar arrays recharge the battery pack, and the charged batteries provide power while Dragon passes through the Earths shadow. With solar panels, Dragon will have the power it needs for longer trips, whether to the Space Station or future missions to Mars. Dragons deployable solar arrays were developed from scratch by a small team of SpaceX engineers. To ensure they will survive the harsh environment of space, our engineers put the solar arrays through hundreds of hours of rigorous testing including thermal, vacuum, vibration, structural and electrical testing. SpaceX conducts most of these tests in-house. The video below shows an array full deployment test using testing equipment developed by SpaceX as part of a NASA Commercial Orbital Transportation Services (COTS) milestone. Dragon is the first privately developed spacecraft to successfully return from Earth orbit and it is also the only reusable spacecraft in operation today. Thuraya has signed a service partner agreement with Africell Holding (a subsidiary of Lintel Holding). Through this partnership, Africell will be providing Thurayas data and voice services in Gambia, Sierra Leone and the Democratic Republic of Congo. Thuraya provides border-to-border seamless satellite coverage over Africa, which complements existing terrestrial operators such as Africell ensuring that consumers out of GSM reach can access reliable and cost-effective satellite communications. Thuraya allows access for people on the move to enjoy the ubiquitous coverage of the Companys robust network by simply inserting their GSM SIM cards into any Thuraya handheld. Africa offers significant business opportunities due to its size, geographical composition, population and economical potential. The new partnership with Africell is part of our strategy to enhance our distribution network and reach out to our vertical industry consumers wherever they choose to operate. We aim to empower people and businesses in Africa through modern, cutting-edge and reliable value satellite communications, said Thurayas Chief Executive Officer, Mr. Samer Halawi. Thuraya offers the worlds smallest satellite broadband solution to support 384 Kbps streaming Thuraya IP and the only satellite handheld to offer full walk-and-talk capability Thuraya XT. This is in addition to maritime, tracking, capacity leasing, and other specialized space-based solutions. Africell Holding operates three GSM operations; Africell Gambia, Africell Sierra Leone, and Africell RDC. The Gambia and Sierra Leone operations are leaders with around 60 percent market share in both markets; the DRC operation is set to be launched by Q2 2012. Communications are consistant whether sitting at a desk in a land based office or offshore in Brazil on a supply vessel. Harris CapRock Communications, delivers turnkey Very Small Aperture Terminal (VSAT) communications to five of Siem Offshores supply vessels, located offshore in Brazil. Harris CapRocks SeaAccess Communications provides fully managed communications for remote and harsh environments. The SeaAccess solution will enable Siem to extend its corporate IT network and applications to its vessels. Siem Offshore Inc. is an owner and operator of modern support vessels for the global oil and gas service industry. Harris CapRock will deploy end-to-end VSAT communications to enable corporate networking, Internet access, Voice over IP, real-time monitoring and reporting, and crew morale services. All equipment will be tested in Aberdeen, U.K., and then shipped and installed locally in Brazil. The turnkey solution includes network design, equipment and installation, as well as service and 24/7 support from Harris CapRocks Customer Support Center (CSC). The contract has the potential to be extended to an additional four vessels. Harris CapRock was selected as Siem Offshores communications partner as a result of its deep experience in providing local service and support in Brazil, combined with its reputation for delivering highly reliable solutions. This leading provider of satellite-based communication, tracking and on-board aircraft data systems has announced the release of an updated version of their popular Latitude WebSentinel iOS App. Registered users of Latitudes SkyNode® SATCOM products who have a WebSentinel service account can now view live and historic flight tracking data, adjust reporting parameters and do two-way text messaging with their SkyNode products using the intuitive interface and high-resolution image quality that Apple® products are known for. The App is freely available in the iTunes® App Store and functions on the iPad®, iPhone®, and iPod Touch® products by Apple®. For users of Latitudes existing iOS App, the new version is available as an update.